When the ELD mandate changes began rolling (albeit, slowly) into effect when the ruling was pushed into law in 2015. Further, the thought of changing out your entire fleet’s logging system was probably overwhelming. But now the ELD mandate is in fully effect, it is time to take some action !!! The ELD mandate, as you know, requires you to replace your fleet’s paper logging system used to track their hours of operation with electronic devices (required to be registered with the FMCSA) that will automatically keep track of these statistics when plugging into a vehicles engine. We all understand the reasoning behind the ELD mandate – it was time to more accurately track the hours your employees were driving to ensure that they weren’t driving on empty stamina. Since the introduction of ELDs into the commercial trucking industry, accidents have reduced significantly and employees are protected from fines they might have incurred from accidental, inaccurate paper logging. Further, employers are less likely to coerce or push their employees to work more hours, exhausting them and putting their lives in danger. With the deadline quickly approaching, it’s time to get your fleet on board. We’ve gone and sorted through dozens upon dozens of electronic logging devices to pick out the top six we believe will not only best benefit your business, but make the transition from paper to electronic smooth and effortless. Take a look at our six reviews and consider the following when picking out your electronic logging device: does the company that made it have industry experience? How intuitive is the new logging system? Are you able to try before you buy? There are hundreds of factors to consider before purchasing an ELD for your fleet – take baby steps! 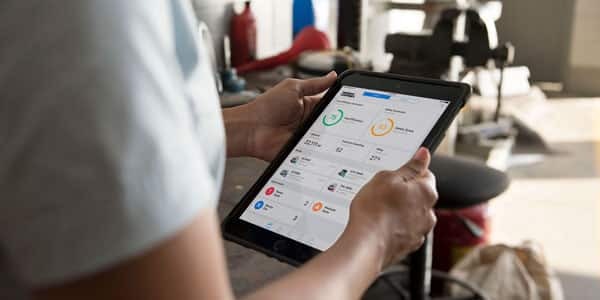 Start by reading below to check out our top six picks for ELDs that might work best for you and your commercial freight business. We’ve picked the Keep Truckin ELD as our first choice for our Top Six List. Why, you ask? It’s easy to use. It’s affordable. And it has almost too many features to count. Overall, it’s a fairly low-cost device, charging $35 monthly, with a $1,260 total cost for three years of use. The basic service plan costs $20 monthly, including the hardware, but new, upcoming features boost it further to $35. This ELD is described as a modern, user-friendly app for commercial drivers, easily pairable and connected to the vehicle it’s working with. It provides features like two-way messaging, room for a 3rd party navigation app, paperwork photography, accident damage reporting, and GPS. Additionally, this ELD allows you to recap the hours that will be gained over the next week – an easy method for driving log editing! Additionally, it allows employees to send images through the app, keeping everything in one place. This ELD is essentially your one-stop shop for hours of service compliance! Keep Truckin even has a convenient “DOT inspection Mode” for showing off your log history to enforcement officers – logs can even be sent right from the app. Our second pick for top ELD in the industry is EROAD Ehubo. For about $45 monthly (with a total of $1,620 for a 3-year period), E-road is one of the most reliable and accurate systems that’s been invented for the business. It’s intuitive, relatively affordable (though more expensive than our No. 1 pick) and has been independently tested for ELD Mandate compliance by the PIT group research firm. It claims to be one of the most all around high-quality devices on the market with sturdy, reliable hardware and an easy-to-use software. The information it captures is highly accurate, in addition to the systems intuitive nature. It has a ton of bells and whistles, not quite as many as other systems, but it is recognized as an all-in-one device that plugs into your vehicles diagnostic port. Using a 3-wire install, this ELD is one of the few that can record information at the level of accuracy that the ELD mandate requires. But what really sets this device apart? The verification procedure. While any device can be verified with the ELD mandate, EROAD has set themselves apart by being 100 percent up to code, having a transportation technology testing firm confirm its accuracy and compliance. This third pick is one of our all-time favorites. The Omnitracs IVG is the latest offering from Omnitracs with an overly-simple installation process, tons of features and a much more affordable price tag. For only $30 monthly, that’s $1,879 annually, and an upfront cost of $799, Omnitracs’ latest ELD can be yours! This ELD markets itself as an all-in-one system. It has new features like voice commands and smart phone pairing, with the simplicity of a one-device-one-cable set-up. The newest system includes features like logs, DVIR, messaging, navigation, engine diagnostics, and even in-cab scanning, tire pressure monitoring, and dash cams. Omnitracs is in it to win it with the latest technology, offering smart phone linkage to the IVG via WiFi or Bluetooth, letting your drivers perform tasks even when they’re away from their trucks. For example, your drivers can update trip information, progress, and captures signatures and documents when they’re away from their trucks! But what do we like best about the new Omnitracs system, you ask? The new access to voice commands. By simple saying “Hello, Omnitracs,” you can turn on the system and give the software a variety of commands. Many companies are looking for ELDs that will make their fleet run smoother. This eld device is one of our top recommendations for those companies. This new ELD is something else – in more ways than one. For starters, this particular ELD is one of the most affordable, lowest priced devices that we’ve ever seen on the market. With no monthly fee, the Blue Ink BIT ELD is only $295 upfront. You heard us right. You pay $295 and then you’re done. Your annual cost? $295. Second year? That same $295. You’ll never pay another monthly fee again. While the affordable price tag makes it an interesting choice, the Blue Ink BIT ELD is also a solid pick for it’s simple, easy-to-use app and its installation process. It’s one of the few devices that makes this price a possibility. In addition to that, it is very ideal for independent drivers and small fleets that want to avoid ongoing contracts and service plans. Those are required by a lot of the electronic logging device vendors. Your blue ink gadget will plug straight into your diagnostics port, and can pair easily with your smartphone or tablet. What we like about Blue Ink is that is offers you the basics, without frills or fancy gadgets. You may make edits to your own log. Also, it allows you to accept suggested correction from fleet managers. Finally,it automatically record when the truck is moving. Overall, this is a sensible ELD choice for small fleets who don’t need one million features for their drivers. It’s no secret that the PeopleNet is the cream of the crop when it comes to ELDs. However, the user should be willing to pay the price. This device is considered the Cadillac of ELDs. Even thus ,you might not find a better created product out there, the cost may not be worth it to your company. With an up-front cost of $1,199 followed by a monthly fee of $43, the PeopleNet price tag is steep. The three-year total cost for this bad-boy is over $2,700! That being said this is truly one of the most reliable, full-featured ELDs on the market. It comes with great support and a familiar interface and platform for many experienced drivers. PeopleNet has been the premier trucking telematics company on the market since the early 90s. It is offering ELDs with updated features before ELD was even a real term. Their platform, packed with features, remains easy and intuitive, making it a premier pick for your fleet. This new system has all the great features to back up the price tag. For example. you may monitor your engine status, fuel consumption, fault codes, and tire pressure. You can enable a built-in ALK CoPilot navigation and integrate multi-directional video cameras, too. The Rand McNally is our final choice for top six electronic logging devices. It has all the features you’d hope to expect from an ELD. In addition, it comes with a giant bonus of being (probably) the easiest install on the ELD market now-a-days. With an upfront cost of $550, the monthly cost, at $30 per month, is relatively low cost. Furthermore, with the additional features you are looking at about $1630 for your 3-year total cost. With a single device and a single cable, your ELD is plugged in and complete -- no problems. This device runs on the same hardware that drivers already know and use for navigation. 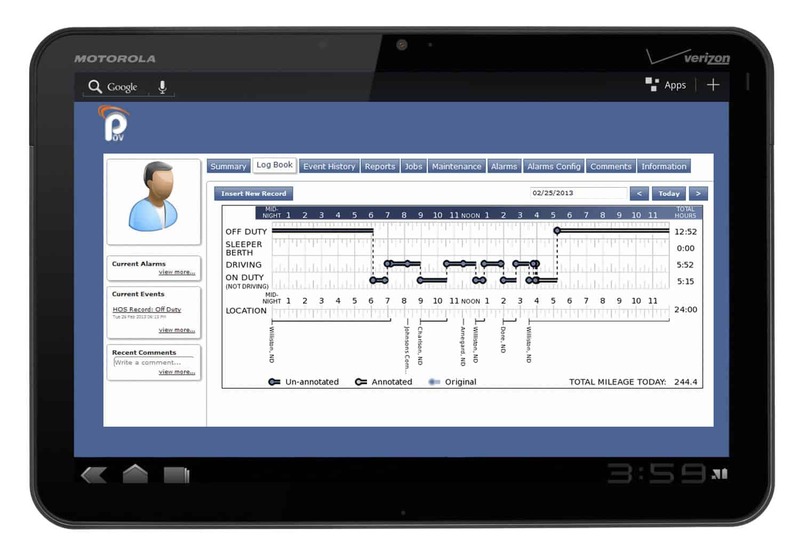 Further, making the transition to ELDs much smoother. The advanced plan can include things like river scorecards, critical events reporting, leasing options, and electronic logging! We recommend this device for all fleet owners or managers. Specially, for those who are looking for an easy-to-install device with no fuss or frills that gets the job done!